If you’ve ever watched an episode of “Say Yes to the Dress”, you know that it’s certainly possible to spend an enormous amount of money on a wedding dress. $30,000? Bring it to me, Randy! But for most of us living in reality, there’s usually a budget in play when it comes to the dress. At Bridal Gallery, we carry a range of price points to suit the needs of our brides here in Grand Rapids and beyond! 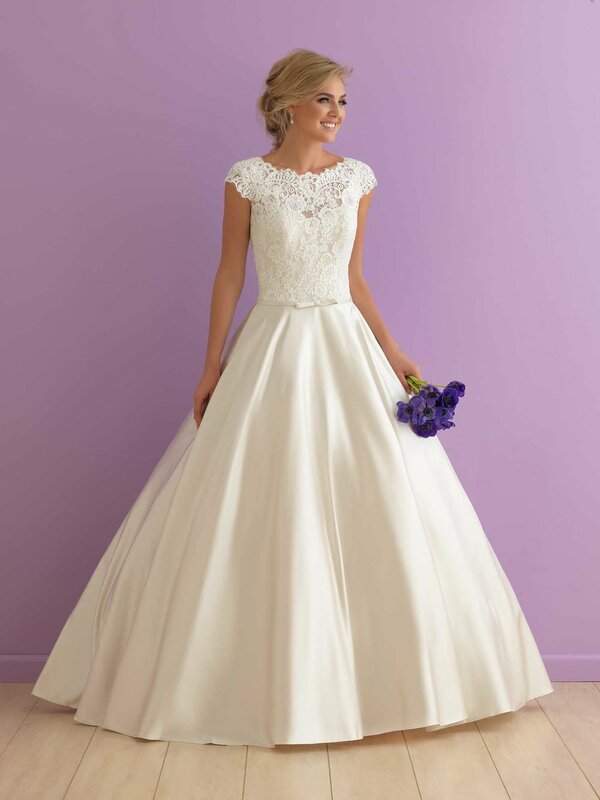 When you walk in our door, you’ll find hundreds of special order wedding dresses priced between $600-$3500. You’ll also find amazing bridal consultants who will respect whatever budget you’re comfortable with! We’re here to help you find the dress that makes you feel amazing and beautiful and ready to get married—without totally breaking the bank. Take a look at some of our all-time favorite wedding dresses for under $1000! Then, request an appointment to come shop with us! ***Our designers don’t allow us to post pricing online, but we’d be happy to give you more information either by phone, email, or in person!